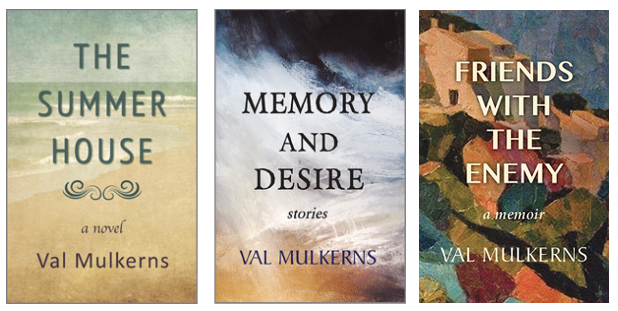 Val Mulkerns, a noted Irish writer and member of Aosdána, is the author of eleven books, including novels, short stories and a memoir. She also worked as a journalist and teacher, and was Associate Editor of the seminal Irish literary review The Bell in the early fifties. Her collected short stories, Memory and Desire came out in 2016 and her final work Friends With The Enemy, a memoir, was published in December 2017. Friends with the Enemy, the author’s newest title and her eleventh book, is now available for Spring 2018. 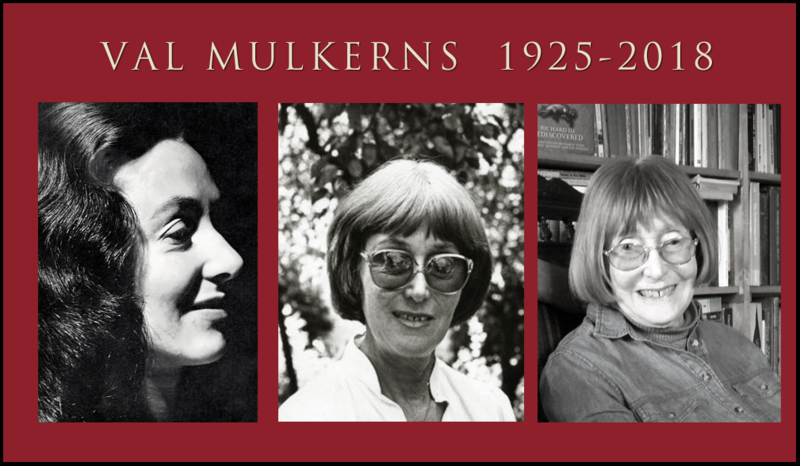 It takes the form of an elegant memoir, which begins with tales of intriguing ancestors, leads us through early days of a Bohemian Dublin childhood and on to her career as a writer. This beautifully written tome takes in almost 70 years of life and times in literary Ireland. For more on this book, click here. In 2016, a collection of Val’s short fiction, Memory and Desire, was published to broad acclaim – see review of the book by Anne Enright, Irish Laureate for Fiction here. The fourth edition of her 1984 novel, The Summerhouse, was brought out in 2013. Like Memory and Desire, it’s also available both by order through any bookshop or online from Amazon in paperback and Kindle formats and by order from bookshops internationally through Ingrams or Gardners.